The spring bank holiday is just around the corner and on Monday this week The Herald.ie published an article on hiring a car - "Consumer Champion: Drive a harder bargain on extras when hiring a car for holidays"
The article says "One of the biggest culprits is the excess. In Ireland we’re used to our car insurance policies having an excess of around €250 – this is the first bit of any claim that you have to pay. However, on hire cars the excess is normally anywhere between €600 to €2,000 making even a simple tip or scratch monumentally expensive"
I know that last week hiring a car in Dublin and taking out car hire excess insurance from an independent provider provision was made on my credit card for a debit of €1,350 if there was an accident. I would then have had to provide that money till the insurance company providing the excess waiver policy stepped in. 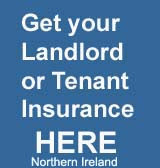 Had I purchased the more expensive insurance the car hire company wanted to sell me (so they gained a good commission) I would not have had have the reserve available from my credit card. 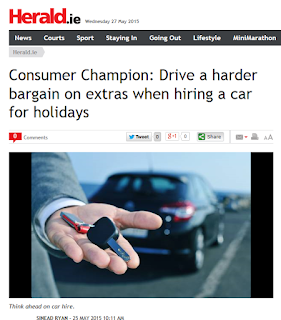 The Herald.ie article emphasises exactly what type of situation can occur and go onto to say "For instance, well known companies like Hertz and Avis charge hundreds for this cover at the hire desk, but buying it before you go can save. Carhireexcess.com, for example, sells Excess Cover starting at €2.99 per day in Ireland, so a little planning goes a long way". You can find out more about Carhireexesscom here. The article goes on to remind people hiring a car that taking their own Sat Navs and the fuel policy, It is essential to check this out when you make a booking and although some firms might be cheaper than others, the cheaper car hire companies might have a pick up policy with a full tank (of expensive fuel) and return it empty. That is not a lot of good if you are not driving far. Last week in four days of driving the car in theory was still over a quarter full. It was much more economic to fill it up and get a full fuel refund.